His Royal Highness The Duke of Kent will officially open the new modern 100,000 sq ft warehouse and manufacturing facilities at A Perry & Co (Hinges) Ltd on Thursday, 21 September 2017, highlighting its continuing success aligned with the government’s Midlands’ Engine initiative. This now gives A. Perry a total operational warehousing capacity of over 140,000 sq ft. The plaque unveiling ceremony will mark the recent £4 million investment by the independent, family-owned, British company, which has been established in Cradley Heath, West Midlands for the past 92 years, working with prestigious customers including Buckingham Palace, Wembley Stadium, HS2, Aardman Animations, and supplying the studios that created Star Wars, Harry Potter and Doctor Who. Perry recently signed a licensing agreement with Aardmann Animations to design and create a Shaun the Sheep sculpture in conjunction with the Studios. The company was established in 1925 by Arthur Perry, grandfather and great-grandfather to the current third and fourth-generation family members who own and run the business. Serving over 2,500 trade customers, it has a current turnover in excess of £12 million. Perry continues to innovate and diversify into new markets, alongside implementing a bespoke lean management process into its distribution and manufacturing processes. The investment will potentially create a further 20 plus jobs in addition to the 15 that have already been fulfilled recently. In 2015, the leading manufacturer and supplier of hinges, hardware, ironmongery, chain and threaded bar entered the ‘Top 50’ growth companies in the Sandwell area and continues to remain there, expanding by over 20 per cent in the last 12 months. Renowned in the trade for its high-quality, good value products such as hinges, threaded bar, ironmongery and field gate lines, the company is also making significant strides into the equestrian, garden centre and architectural ironmongery sectors, with some new innovative products having an extended life guarantee of up to 25 years – unprecedented in its sector. Perry has a history of delivering quality. 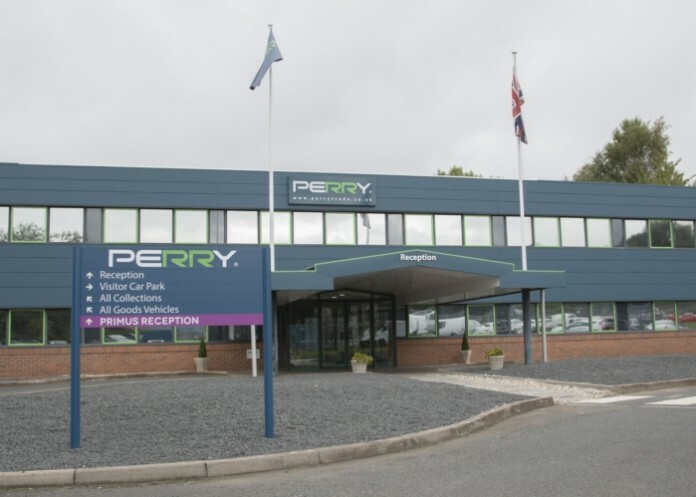 Starting in 1925 by manufacturing gutter brackets, hinges and fixings, Perry went on to manufacture and supply components for World War II ammunition boxes, Lancaster bombers and more recently Harrier jump jet landing pads. Threaded bar from Perry were used in the construction of Watford Football Ground, the new Wembley Stadium and during the early development stages of HS2.